In this clip, i play a Taylor Baritone 8-String guitar. This steelstring model has a baritone size, is tuned a fourth lower than a standard guitar and has octave strings for the middle two strings. 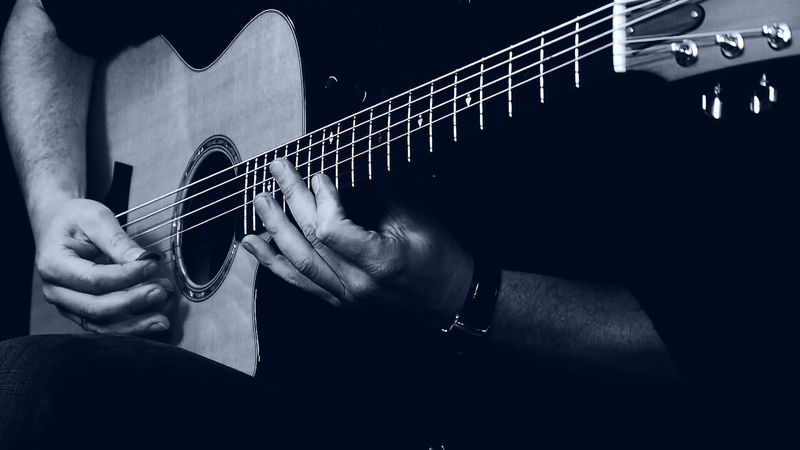 Tuning is: B – E – A – a‘ – D – d‘ – f# – b.
I play some typical styles that show the sound of this instrument, played with pick and in fingerstyle. The sound was recorded with two AKG C414 mics into Cubase, using an Audient MICO mic-preamp and A/D-converter and a RME Multiface Soundcard.